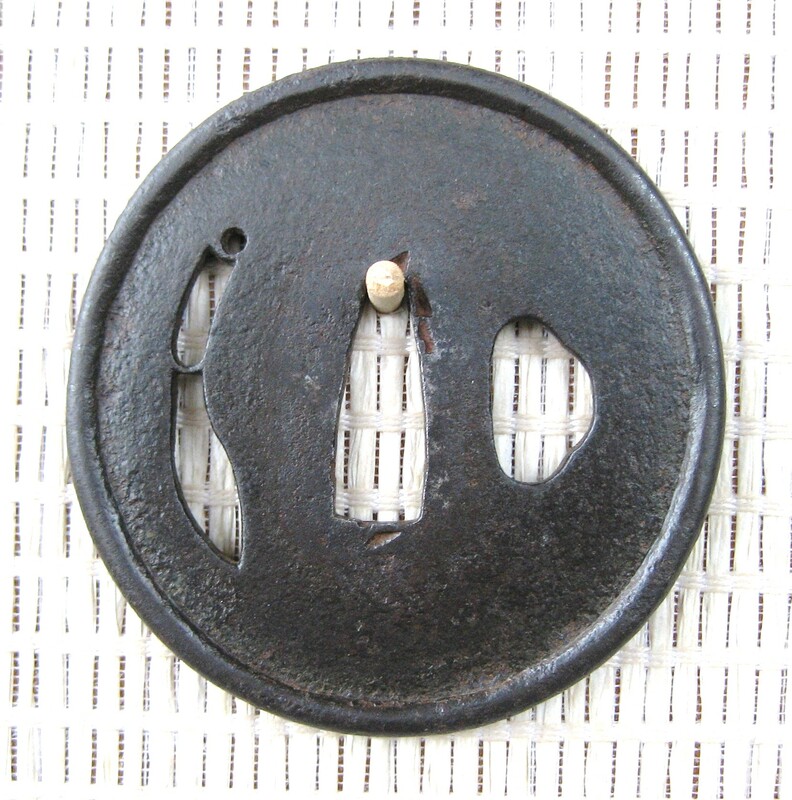 "Iron slightly oval plate with pipe rim. The web with sukashi of nata (utility knife) on right side of plate and kogai shape hitsu on the left side. The web area of the plate retains much of the original black lacquer surface, on both sides. 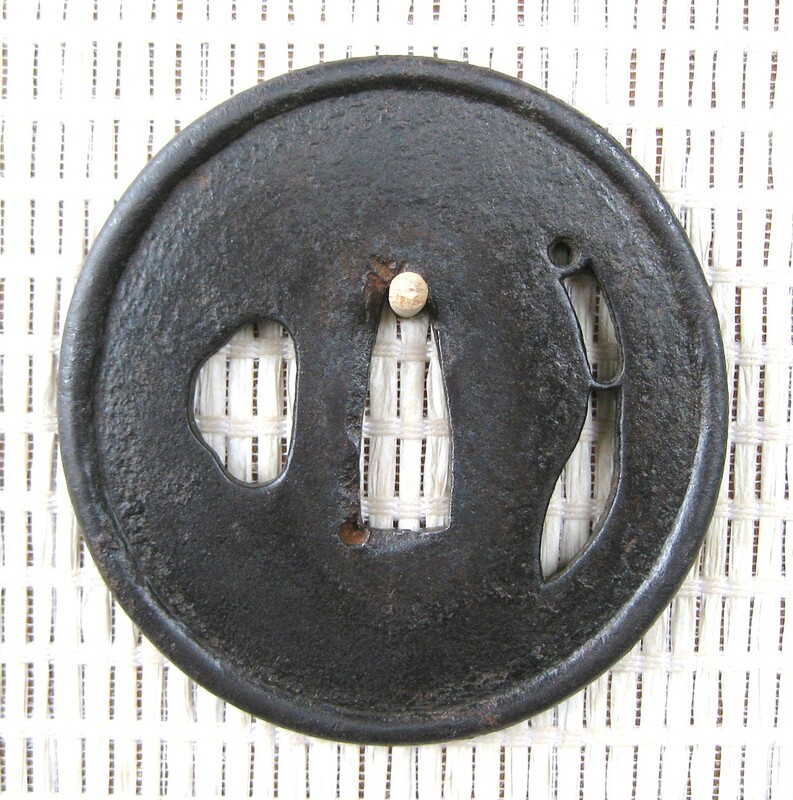 Katchushi tsuba with dote mimi (pipe rim) are quite rare, and much sought after. This example is far superior to the one illustrated in: ILLUSTRATED CATALOGUES (sic) OF TOKYO NATIONAL MUSEUM SWORD GUARD, Tokyo 1979, page 6 number 18. In this example several of the sukashi openings are later additions to the original plate. A far better example can be found in: Masayuki Sasano: EARLY JAPANESE SWORD GUARDS SUKASHI TSUBA, Tokyo & San Francisco 1972, page 49 number 17. 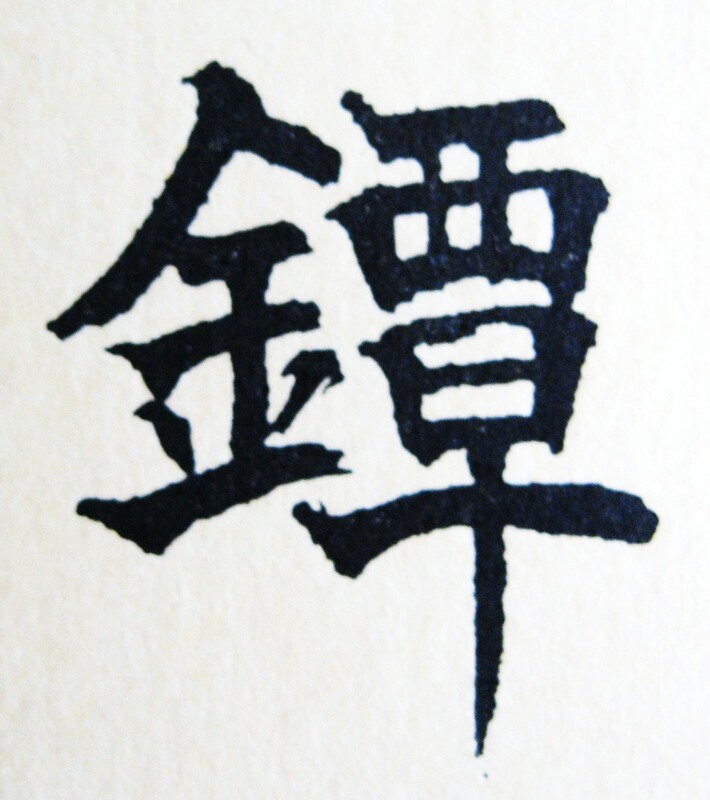 This example has two nata, and no hitsu-ana, and is just slightly larger than the present one. The nata design is not always found with a pipe rim, as we see in the example illustrated in: SASANO (the "silver book") Tokyo 1994, page 28, number 3. This example is a nata gama (bill hook).